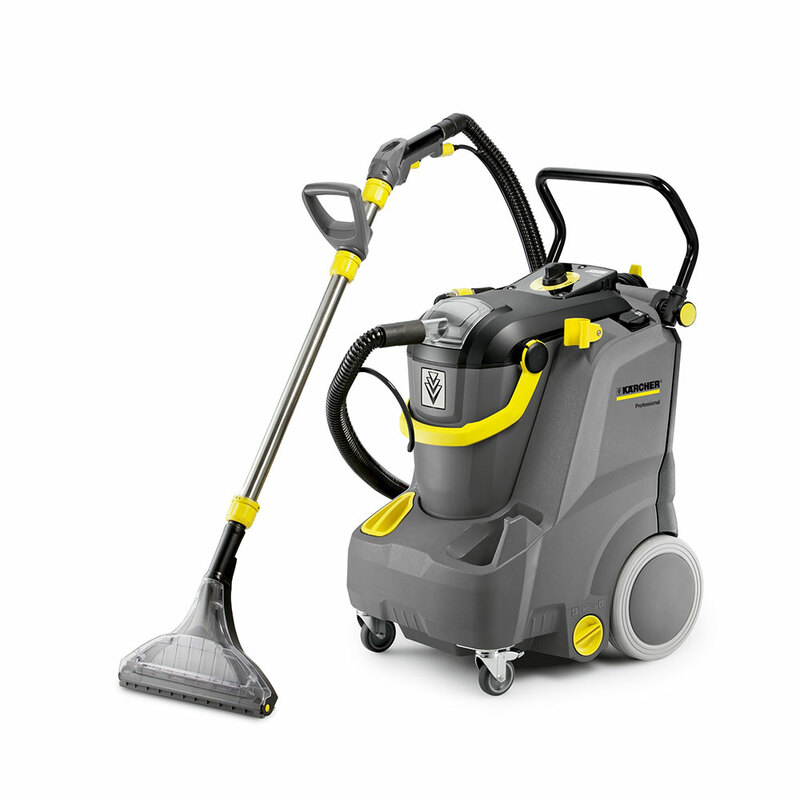 Large capacity, high performance carpet and upholstery cleaner with revolutionary flexible suction tool. 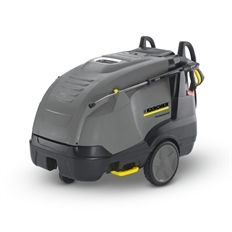 The powerful Puzzi 10/2 spray-extraction cleaner provides new levels of convenience and ease of use, thanks to a host of design features all intended to make carpet and upholstery cleaning more productive and therefore quicker and at lower cost. 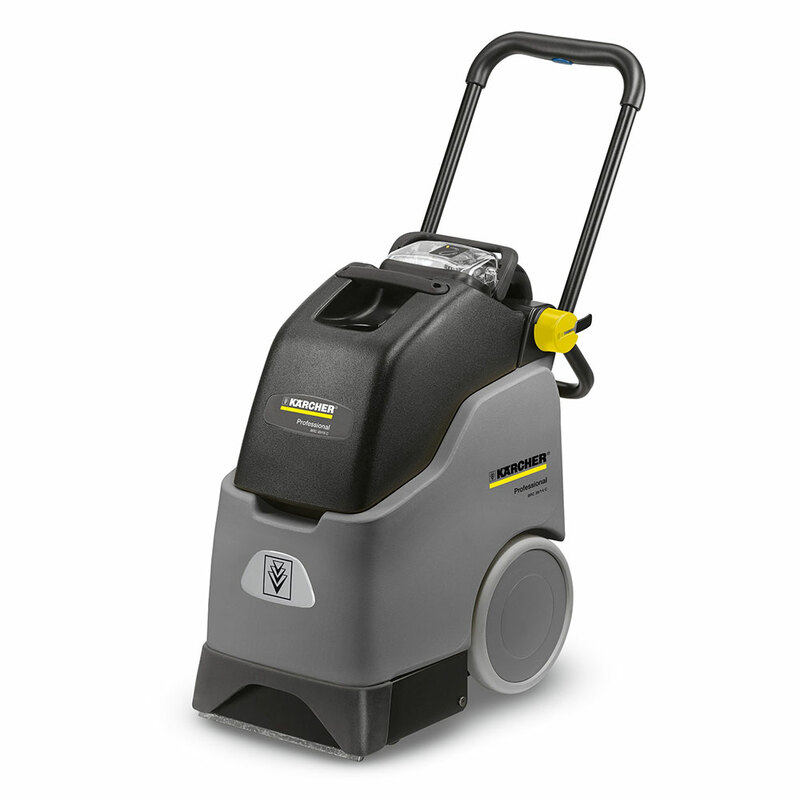 The Puzzi 10/2’s 2 bar spray pressure ensures carpets are cleaned very deeply and the defoamer system reduces foam build-up in the dirty water tank, both increasing productivity compared to the Puzzi 10/1. 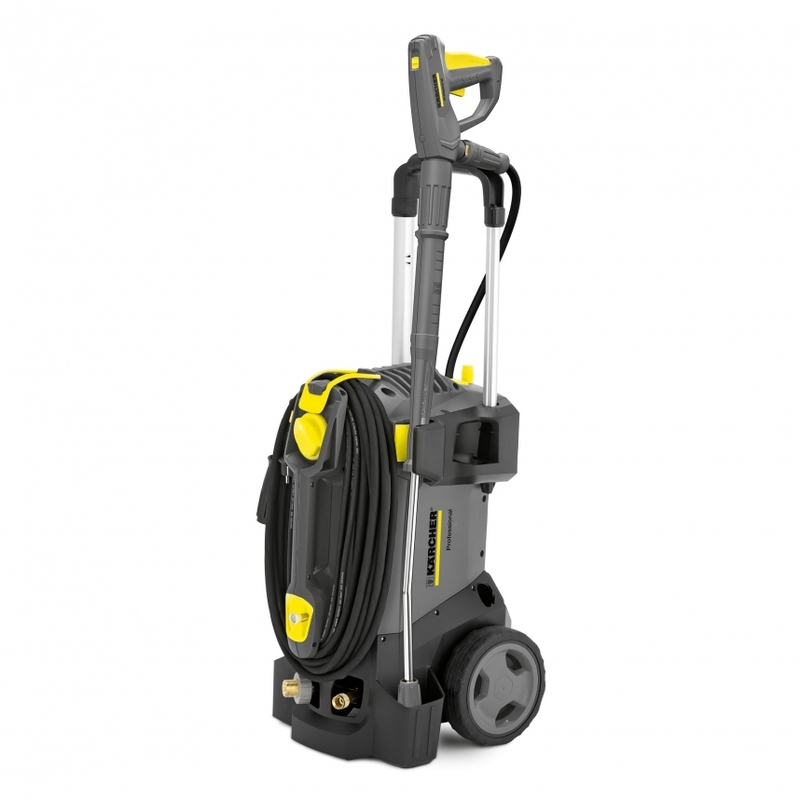 Using the proven spray-extraction method, the Puzzi 10/2 deep cleans carpets and leaves only minimal residual moisture. 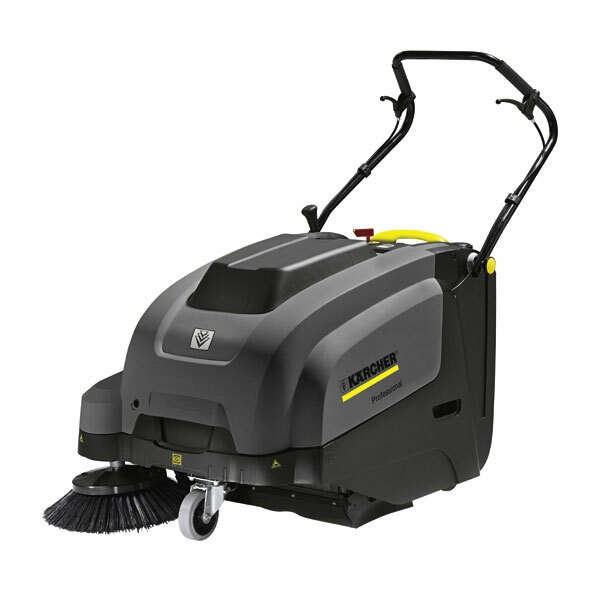 This means that carpets and upholstery are left almost completely dry, reducing the risk of resoiling and enabling cleaned areas to be used again very quickly. 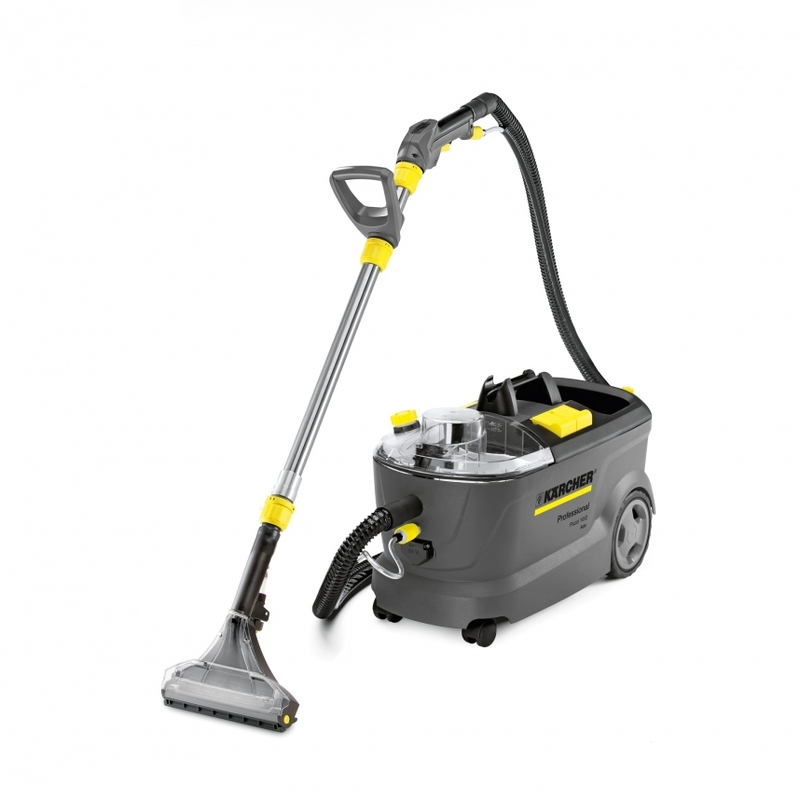 Kärcher’s revolutionary flexible suction tool features a rotating plastic lip which ensures optimum contact is made regardless of the angle of the floor tool, dramatically improving ease of use and cleaning results.